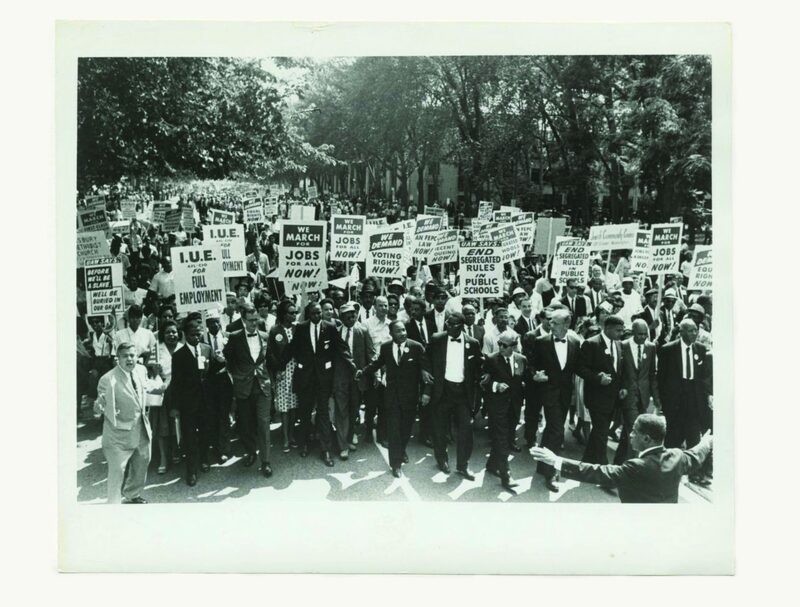 Rabbi Joachim Prinz (center-right, in sunglasses) marching with Dr. Martin Luther King Jr. at the 1963 March on Washington for Jobs and Freedom. Photo courtesy of the American Jewish Congress. This review appears in our forthcoming Fall 2018 issue. Subscribe to receive a copy in your mailbox. Rachel Cohen is a contributing writer to The Intercept and a freelance journalist based in Washington DC. Posted byRachel Cohen October 25, 2018 March 20, 2019 Posted inReviewTags: Anti-Defamation League, Black-Jewish relations, Martin Luther King Jr.